Thursday Motivation: Don’t let minor set back bring you down. 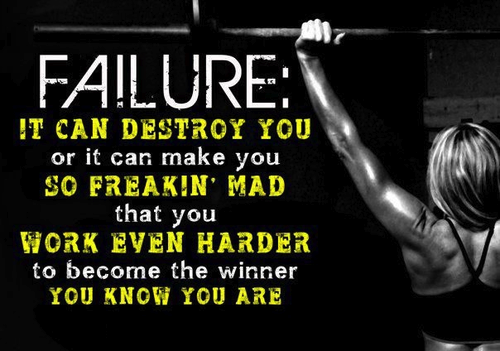 Don’t let one failure be the reason you quit trying. Instead, use it as fuel to help you exercise harder and eat healthier. This applies to your day-to-day efforts as well as your daily workouts. Minor setbacks turn into major COMEBACKS!